House cleaning. It’s something not everyone enjoys doing, but something that needs to be done on a regular basis. When you’ve finished a rough week at work and you come to a house that is a mess and a half, you just want to plop down on the couch and hope it will magically get done. While we don’t have magic wands to make that a reality, there is something else out there that can make those dust bunnies and soap scum disappear. If you’re looking for a Santa Barbara cleaning company, look no further. 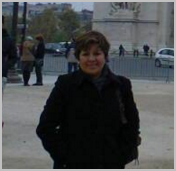 Rosie’s Cleaning Service has been cleaning homes and offices since 1990. While you may think you could never afford a maid every week, think again. Rosie’s Cleaning Service is the lowest cost Santa Barbara cleaning service. So you really can afford to let a professional do the job while you enjoy time with your family. Family time is never as important as it is over a holiday weekend. With Labor Day just about here, you’re probably thinking about getting out with the family. The last thing you should be thinking about is cleaning the house just because you have an extra day off. Call Rosie’s Cleaning service for a cleaning quote today so you won’t have to labor over the holiday weekend or any other weekend for that matter. You can also have peace of mind when it comes to the safety of your home while Rosie’s crews are there. 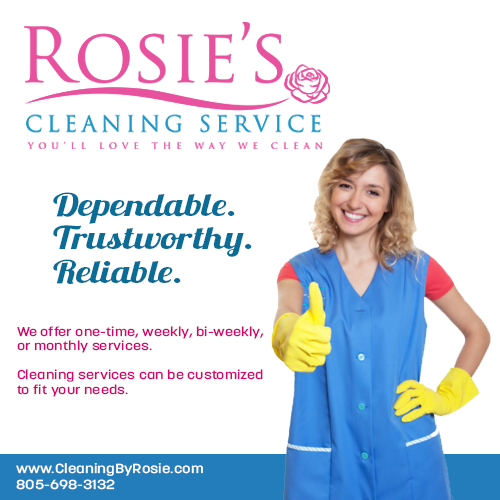 When it comes to Santa Barbara maids, Rosie’s customers couldn’t have nicer things to say about the cleaning teams. Rosie’s Cleaning Service offers a variety of cleaning services. Choose from a standard or deluxe package for your weekly cleaning needs or an after party package that will get your house back into functioning mode. There are also services for moving in and moving out of your home. No matter the mess, Rosie’s is the best. Don’t labor this Labor Day weekend, let Rosie’s take on your mess. p.s. As a resource to you, we will recommend local area partners that we feel may be of value to you. If you are moving in or out of Santa Barbara and need the help of a moving team, contact Casey and his Santa Barbara movers. If you recently had one of your home appliances stop working, give our trusted appliance repair partner Burt Yost a call at his Santa Barbara Appliance Repair company. Q: What other services can Rosie’s Cleaning Service provide besides basic cleaning and vacuuming? A: Rosie’s can do your laundry and ironing for an additional charge. You can get more details by calling 805-698-3132 or by emailing rosie@cleaningbyrosie.com. Experience the magic of butterflies as you make your way through a beautiful garden of flowers and more than 1,000 butterflies. The exhibit opens at 10 a.m. For more information on tickets and museum visits call (805) 682-4711. Channel Islands National Sea Park is one of California’s beloved destinations. Check out some of the most beautiful sea caves in the world. Call (805) 884-WAVE for more information on hours and bookings. Get a city and wine tour of Santa Barbara and Montecito in a one-of-a-kind Jeep Limo. For 90 minutes you’ll ride along and check out family fun spots as well as the wharf and harbor. For more information on reservations call (805) 448-8425. Blush Restaurant Downtown: Blush will be having a Labor Day Weekend party in downtown Santa Barbara. Blush is a cozy restaurant and lounge that will be open from noon until 10:00 p.m. You and your guests can sit back and relax while their chefs do all the cooking. Sammy’s wine tours is a great way to spend some quality time with friends and family over the Labor Day weekend. Santa Barbara and Santa Ynez are home to some of the best wineries in California. Qui Si Bella Spa is running a Labor special for their day spa and massage services. Take your family and friends to the spa and reminisce while getting a mani / pedi! $250 For 6 hours of Cleaning! Offer Expires August 31st.